What has ISAAC accomplished lately? TRANSIT Until this fall, there was no bus service to Pavilion Estates, a large mobile home park east of Sprinkle Road. But with the help of Friends of Transit (founded by ISAAC & Disability Network Southwest Michigan), residents there gathered signatures and spoke to the Kalamazoo County Transportation Authority and Metro Transit. The residents of Pavilion Estates have had a shuttle to the closest bus ever since, and they are about to get regular bus service! HOUSING In Minneapolis, housing advocates realized that of the 100 most frequent users of their county jail, 85 were homeless! When they provided housing and support services to those frequent users, they saved $13,000/person/year! Other cities are finding similar results with frequent users of their emergency rooms. So ISAAC initiated a FUSE (Frequent Users Systems Engagement) planning group in June. Our Sheriff, Borgess and Bronson Hospitals, Kalamazoo Community Mental Health & Substance Abuse Services, the Family Health Center, the County’s Public Housing Commission, Open Doors Kalamazoo, Housing Resources Inc, LISC Continuum of Care and WMU School of Public Health and Administration are all part of planning a FUSE pilot project in Kalamazoo, to help end homelessness and save money at the same time! 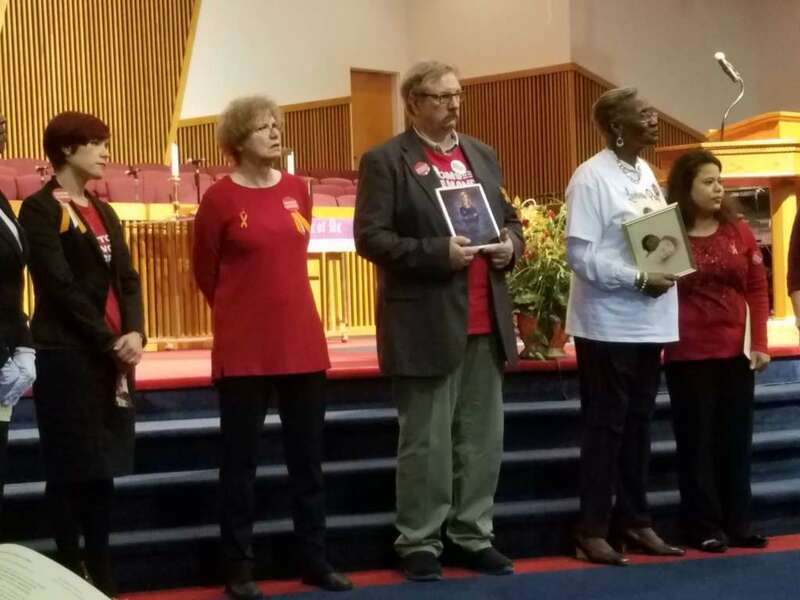 HOUSING When our County Board of Commissioners heard about FUSE from their ISAAC constituents in October, it helped them make the bi-partisan decision to double the budget for the Kalamazoo County Public Housing Commission to $250,000! EARLY CHILDHOOD Last summer, when the Michigan Legislature voted to fund more preschool slots across the state, there was a lot of joy but very little time to fill those slots. The Kalamazoo Public Schools asked ISAAC to supervise the door-to-door recruitment of families with young children. Now many more four-year-olds, who didn’t have the opportunity before, are getting all the benefits of quality preschool! You can be a part of this important work. Come to the ISAAC Banquet on March 29. (Get your tickets by March 23 to get the best price!) Your presence supports the work to build a more just community.